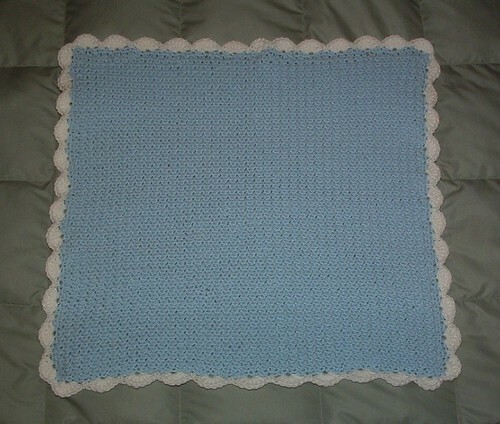 The moss stitch is a pretty crochet stitch that I used to make this little baby blanket. There are several versions of the stitch and I used the one below to crochet a preemie baby blanket for the 2014 NICU baby blankets for Christmas drive that Kathryn heads up over at Crochetville each year. This was my first attempt at using the stitch and because I needed just a small blanket for the NICU babies, I chained 95 to begin using a H (5 mm) crochet hook. This resulted in a beginning chain about 22 inches long. Here are the details in US terms for crocheting a small baby blanket as shown using the moss stitch. Chain 95 using a H (5 mm) crochet hook.